When it comes to the first look, you probably think of the obvious from our recent blog post: meeting before the ceremony for an intimate moment. They are both very emotional and happy moments for the soon-to-be newlyweds. We wanted to go a bit further and explore some alternatives when it comes to the first look. Let us know which one you love the most! Seeing each other at the altar. Ahhh…the original first look! The momentum builds up as you appear behind the doors! 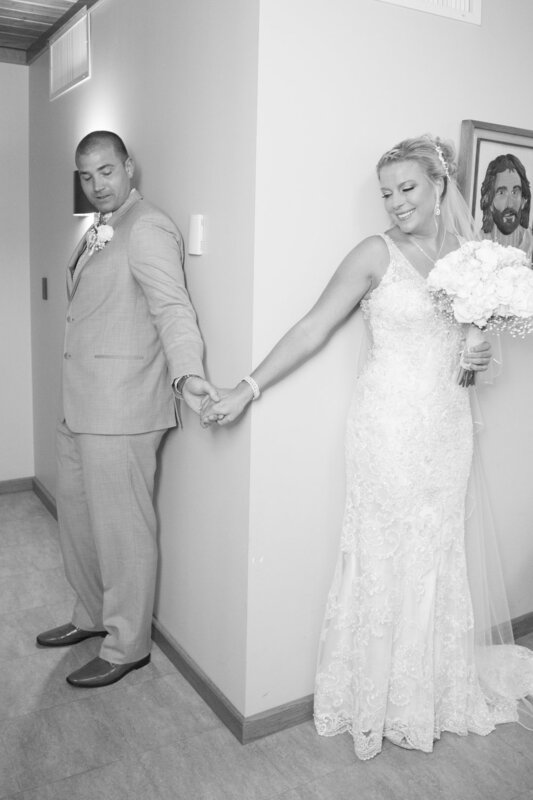 As you walk down the aisle, both you and your soon-to-be spouse try to hold it together. I feel like this is what we always see in the movies since it’s the traditional first look we’re all so used to! It can make for some beautifully emotional photos and for those who tend to like a more traditional route, it’s the perfect option if you love the buildup for the ceremony. Doing the first look with your dad. 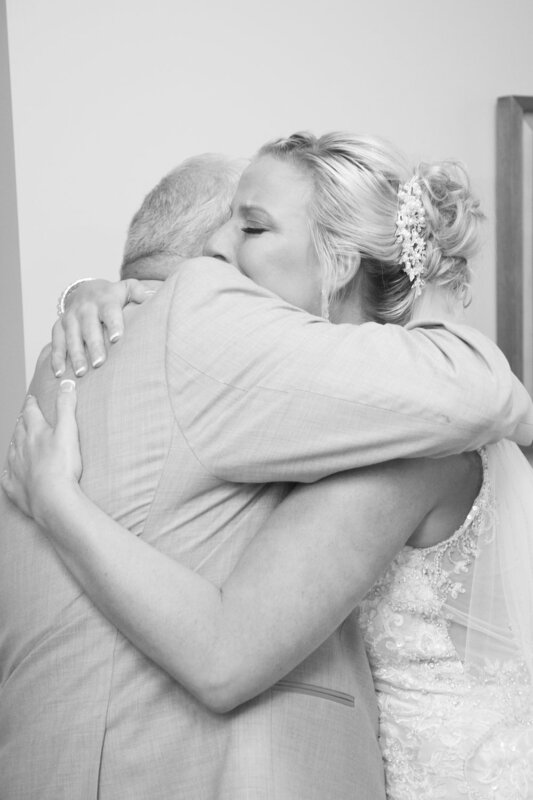 This one is going to trigger the tears for sure, but what better way to do a first look than with your dad (or even a parent figure in your life). He has watched you grow from the little girl you used to be to the young woman you are now. You are his world, and just like how OKOTA loves capturing the father-daughter dance, a first look is just as beautiful to see. Doing the first look with your bridesmaids. You chose them because they have been there for you through thick and thin or will become a part of your family. They have supported you and seen you grow both as an individual and in a relationship. Now, they are there for the big moment! So when they see you all ready and decked out for the day, they will melt when they first lay eyes on you all dressed up before you walk down the aisle. At this moment, it’s wonderful to share and capture it with the people who have and will always be there. Writing each other a letter. Even if you think your handwriting is bad, or that you aren’t the most eloquent writer, composing a letter to each other to read before the ceremony is very touching. Seeing and reading words from your loved one can not only help prepare you by calming your nerves but reminds you of how much you love them. A letter is also something you can experience privately if you wish, away from the hustle and bustle of family and friends. After, you can hold onto it for years to come, traveling back to your wedding day every time you read it. You can do this in a few ways! You can hide behind a door open while your significant other is on the other side or stand on either side of a corner to avoid seeing each other. You can keep it fun and light by also blindfolding the groom (and even you) and having his groomsmen bring him to the bride. Not only does this make a cute set of photos, but ensures that there can be no peeking! Sometimes just the touch of your loved one is enough to calm you down and help you prepare for the walk down the aisle.